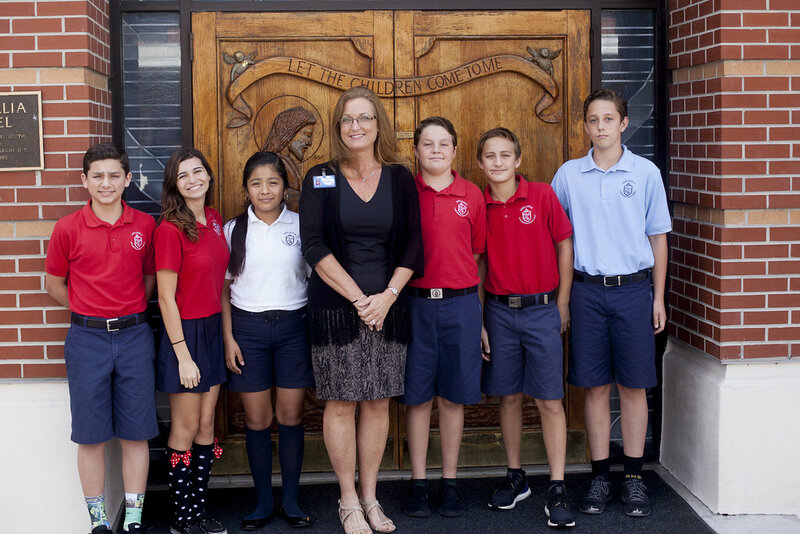 Are you looking for a school that offers academic excellence and faith-filled education for all students in a safe and welcoming environment? Then look no further than St. Cecelia Interparochial Catholic School (SCS). The SCS magic starts with our caring, dedicated, and effective educators and staff members. They set high standards for student achievement and help them succeed. The variety of extracurricular opportunities and our strong dedication to service play an integral role in developing our students’ confidence and challenges them to be lifelong learners. At SCS it’s all about developing lasting relationships among our students, their families, and partners in our global community. St. Cecelia graduates leave with a strong moral compass and go on to be leaders in their local and worldwide communities. We couldn’t be more proud of our Crusaders. I invite you to get a glimpse of our school through our website and contact our Admissions Office for a tour in person. I look forward to meeting you soon!